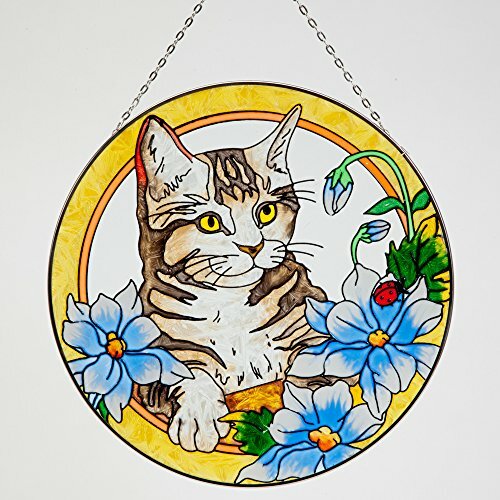 Peeking out from the flowers, this kitty will delight as the sun shines through the painted glass as it hangs from your porch or window. Includes metal chain for hanging. 8" diameter. Peeking out from the flowers, this kitty will delight as the sun shines through the painted glass as it hangs from your porch or window. Includes metal chain for hanging. Measures eight inches in diameter.